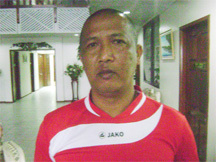 – Claudio Alvarez Manager of the visiting River Plate Football Club Claudio Alvarez yesterday stated that his team was ready to play Guyana’s top team Alpha United in two matches in the Caribbean Football Union (CFU) Club Championships at the Guyana National Stadium and GCC Ground. The Guyana Football Referees Council (GRFC) has written to the Guyana Football Federation (GFF), calling for the postponement of the Congress and elections that are scheduled for Saturday. BERNE, (Reuters) – Pele, Bobby Charlton and former Brazil captain Cafu will join the FIFA task force which look at ways of brightening up the game and improve refereeing in time for the 2014 World Cup. 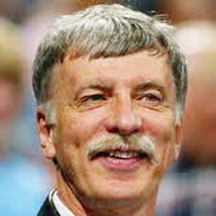 LONDON, (Reuters) – Arsenal supporters who own shares in the club are being told not to sell to American billionaire Stan Kroenke, who this week agreed a takeover deal. MANCHESTER, England, (Reuters) – Manchester United inflicted more Champions League misery on Chelsea with a 2-1 win that put them in the semi-finals and then twisted the knife when Alex Ferguson said he might not have fielded the right team. It rained goals on New Silver City tarmac on the second night of action in the Guinness Greatest of the Streets five-a-side football tournament as 26 goals were scored in six matches Saturday in the bauxite mining community of Linden. 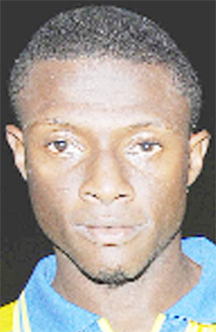 Michael Edwards netted a double to take the Trinidad and Tobago’s Pro League champions Defence Force to a 4-0 win over host Milerock in their home-and-away second round tie of the Caribbean Football Union (CFU) Club championship, at the Mackenzie Sports Club ground last Sunday evening. 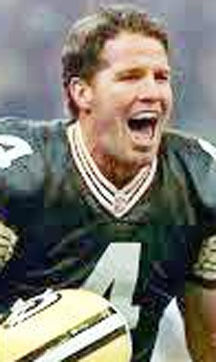 NEW YORK, (Reuters) – The woman at the center of a tawdry scandal involving retired NFL quarterback Brett Favre says she never intended to be a “gold-digger” and just wants her life back, according to an interview on ABC News. LONDON, (Reuters) – Arsenal is poised to become the fifth Premier League club to have an American owner after sports tycoon Stan Kroenke agreed a deal for a takeover that values the soccer club at 731 million pounds ($1.2 billion). 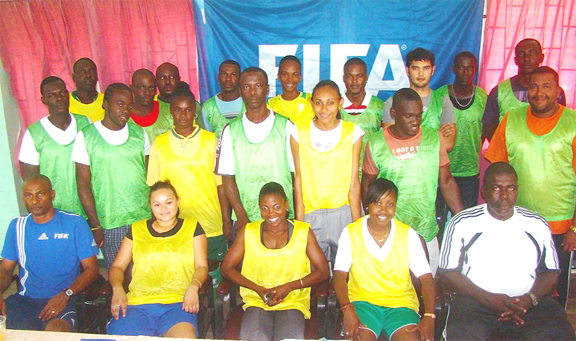 The Guyana Football Federation (GFF) received G$148,029,143 in grants last year from the Federation of International Football Association (FIFA), an almost 100% increase from 2009, according to the financial report of the organisation ending December 31, 2010. Tucville Secondary devour QC 10 – 2 The inaugural ScotiaBank/ Pepsi Schools Football Tournament officially kicked off yesterday with the opening ceremony and curtain-raiser match between Queen’s College and Tuvcille at the Carifesta Sports Complex Ground. 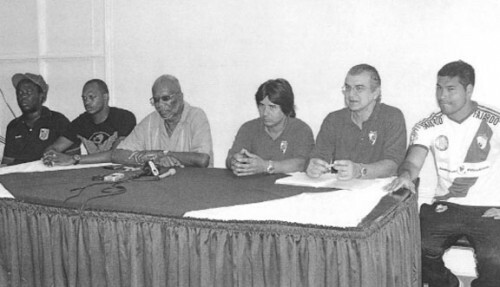 In an interesting turn of events the Georgetown Football Association (GFA) and Upper Demerara Football Association (UDFA) are to receive constitutional rights from the Guyana Football Federation (GFF) pending the submission of certain documents. 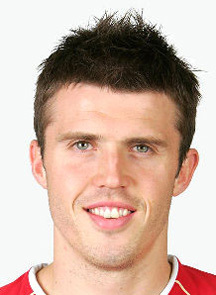 LONDON (Reuters) – Manchester United enjoyed a stroll in the spring sunshine yesterday as they eased to a 2-0 home win over Fulham to open a 10-point lead at the top of the Premier League. 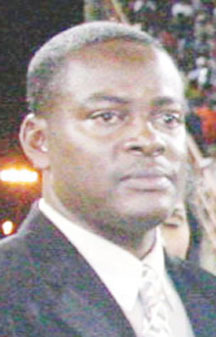 The Georgetown Football Association (GFA) followed up its request to be duly recognized by the Guyana Football Federation with a call for the postponement of the parent body’s elections on April 16. LONDON, (Reuters) – Manchester United have accepted Wayne Rooney’s charge from the FA for swearing at a TV camera, but are appealing against his two-match ban, the Football Association said yesterday. MADRID, (Reuters) – Real Madrid returned to their ruthless best yesterday when Emmanuel Adebayor struck twice in a 4-0 drubbing of 10-man Tottenham Hotspur as the Spanish giants seized control of their Champions League quarter-final. LONDON, (Reuters) – Chelsea must avenge their 2008 Champions League final defeat by Manchester United or face a trophyless season if they lose the all-English quarter-final which starts at Stamford Bridge today (1845 GMT). MILAN, (Reuters) – Inter Milan, treble winners under Jose Mourinho last season, saw their season disintegrate as they collapsed 5-2 at home to a makeshift Schalke 04 side in their Champions League quarter-final first leg yesterday. 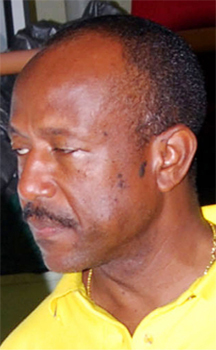 The Georgetown Football Association (GFA) is pushing for voting rights ahead of next Saturday’s Ordinary General Meeting of the Guyana Football Federation (GFF) but the local governing body has turned down a request for a meeting to discuss the issue. The inaugural Len’s Craft Optical/Sunburst Orange Juice sponsored Under-15 League for City teams is set to continue today at the Georgetown Football Association Ground with four more matches. 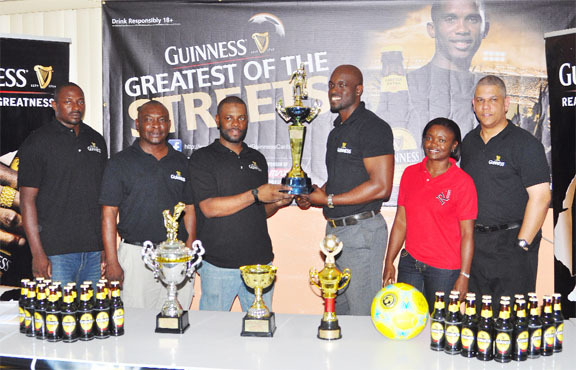 The inaugural Guinness Greatest of the Street Linden Futsal Competition was officially launched yesterday in a simple yet significant ceremony in the board room of the LEAP Building in Linden and kicks off at 6pm tomorrow at the Wisroc Bus Park. 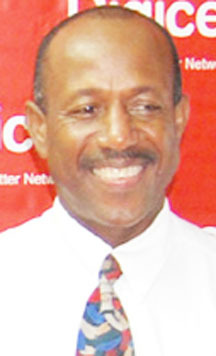 Outgoing second Vice-President of the Guyana Football Federation (GFF) Franklyn Wilson firmly believes that long-standing President Colin Klass can be upstaged if all sub-associations became more proactive, starting with properly constituted clubs, and shared the same vision for the game’s development. 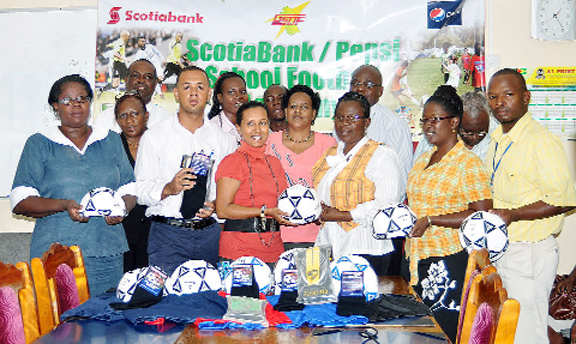 At a simple ceremony yesterday ScotiaBank and Pepsi, sponsors of the Guyana Sports Development Foun-dation’s (GSDF) Schools Football Academy handed over equipment to the eight participating schools. The quarterfinal round of the annual Mayor’s Cup Invitational Knockout tournament concluded on Wednesday night with a double header at the Georgetown Football Club Ground and now the semifinal stage has been set. 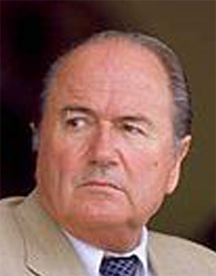 SANTIAGO, (Reuters) – Former Chile captain Elias Figueroa has decided not to run for FIFA president in June, citing little time to prepare a creditable platform from which to try to wrest power from Sepp Blatter. KINGSTON, Jamaica, CMC – A double strike from Dane Richards restored the pride to Jamaica in a 3-2 victory over El Salvador on Tuesday at the Cuscatlán Stadium. RIO DE JANEIRO, (Reuters) – Brazil’s 2014 World Cup officials are lining up to debunk FIFA chief Sepp Blatter’s suggestion they are behind schedule, with Rio de Janeiro state sports secretary Marcia Lins joining the fray yesterday. 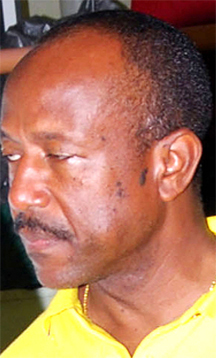 Disenchanted football officials are wary of long-standing Guyana Football Federation (GFF) president Colin Klass serving another four years at the helm, declaring they would prefer “a one eye, one foot, one hand man” to take the reins of football which has suffered under Klass. 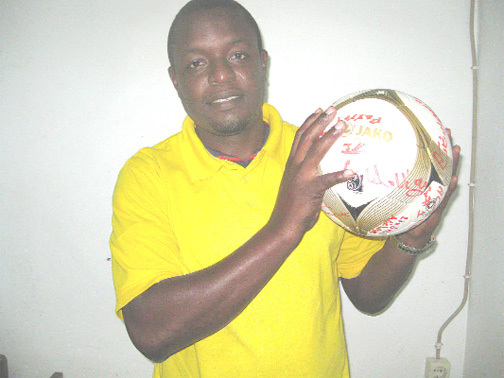 Linden resident Ruel Williams emerged top student of the three-day Beginners Football Referees Course held last weekend at Carifesta Sports Complex, organized by the Guyana Football Federation (GFF) and the Guyana Football Referees Council (GFRC). 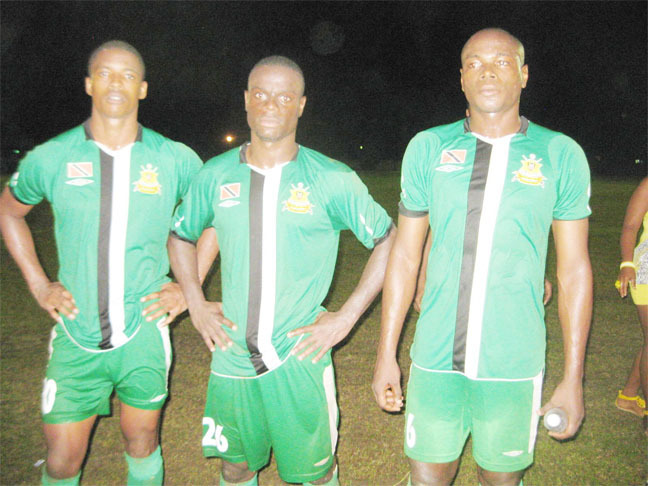 – Alpha also wins Marvin Joseph produced a terrific performance, recording a hat-trick which propelled Pele into the semifinal of the annual Mayor’s Cup Knockout Football Competition at the Georgetown Football Club Ground on Sunday night. The inaugural Len’s Craft Optical/Sunburst Orange Juice Under-15 League finally got underway over the week end at the Georgetown Football Club ground after being delayed for two weekends due to inclement weather. Written off by fickle fans following their 0-1 defeat at home to Linden’s Intermoengotapoe at the Mackenzie Sports Club ground in the first game of the Caribbean Football Union (CFU) club championships, Milerock are today basking in their historic win in Suriname which advances them to the second round. The Guyana Football Federation (GFF) will today and tomorrow stage trials for female footballers looking to earn spots of the Lady Jags team for an upcoming engagement against Suriname. Given the favourable weather which prevailed over the past few days the inaugural Len’s Craft Optical/Sunburst Orange Juice Under-15 League for City teams is set to kick off today at the Georgetown Football Club Ground with four matches. LONDON, (Reuters) – Chelsea joined Manchester United and Tottenham Hotspur in the Champions League quarter-finals yesterday, increasing the chances of an English team reaching the final at Wembley Stadium. Milerock suffered a heart shattering defeat at the hands of Suriname’s Inter Moengotapoe when they clashed in their first round Caribbean Football Union (CFU) Club Championships at the Mackenzie Sports Complex Ground on Sunday. BUENOS AIRES (Reuters) – Manchester City striker Carlos Tevez will miss Argentina’s friendlies away to United States and Costa Rica this month after being overlooked again by coach Sergio Batista. 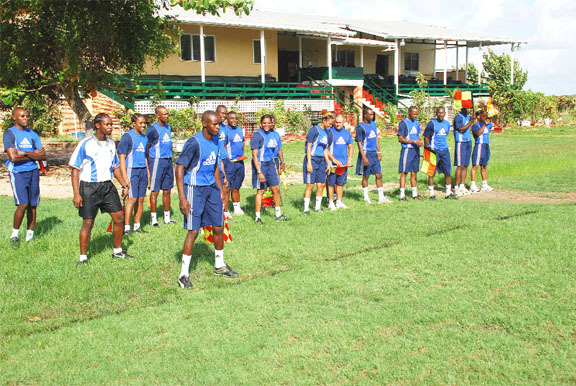 Local football referees will kick off their 2011 programme of activities with a Fitness Run tomorrow at Police Sports Club ground, Eve Leary starting at 06:00 hours. 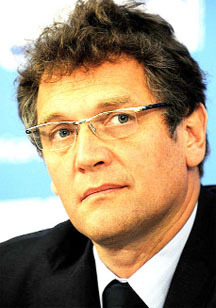 ZURICH, (Reuters) – FIFA made a profit of $631 million over the last four years but was over-dependent on the World Cup for its revenue, soccer’s world ruling body said yesterday. ZURICH, (Reuters) – FIFA is planning to take greater control over international friendlies after a fake Togo team played in one game in September and seven penalties were awarded in two matches in Turkey last month. PORT-OF-SPAIN, Trinidad, CMC – Clubs taking part in the Caribbean Football Union’s Champions Cup tournament now know their path to next season’s CONCACAF Champions League. LONDON, (Reuters) – Chelsea showed by beating Manchester United that they will not give up the Premier League title without a fight and Liverpool are likely to be just as tenacious when they face United at Anfield on Sunday. LONDON, (Reuters) – Soccer’s law-making body is expected to approve more experiments with goal-line technology systems on Saturday, but there is still a long way to go before any hi-tech device helps a referee make a decision. 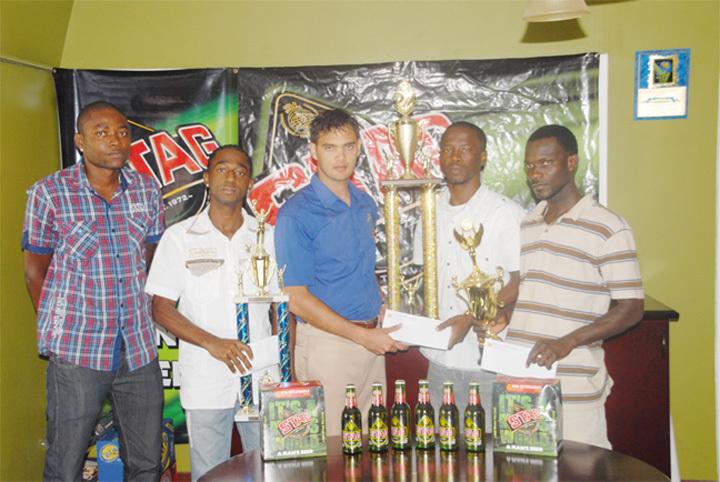 In a simple ceremony yesterday, ANSA McAl rewarded the top finishers of their 7-A-Side street football inter-ward tournament which was sponsored under the company’s Stag beer brand. LONDON, Feb 26 (Reuters) – Striker Javier Hernandez’s well-taken double on a rare Premier League start helped leaders Manchester United move four points clear with a 4-0 romp at Wigan Athletic yesterday. MONTEGO BAY, Jamaica, CMC – The Finals of the 2012 Digicel Caribbean Cup will be contested between June and July. 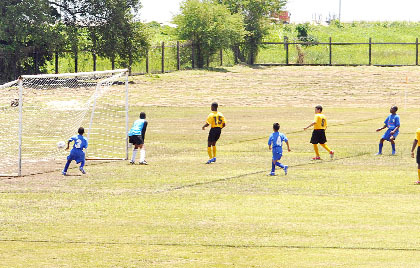 The third annual Edward ‘Screw’ Richmond Memorial Under-18 Schools football championship for teams in Linden will be launched today FROM 2:30pm. 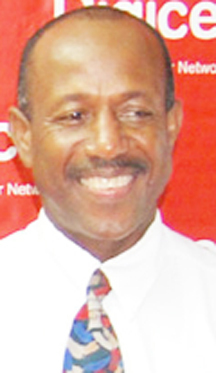 Community Pharmacist Practitioner Cecil `Cary’ Jacques was returned unopposed as president of Pele Football club when the club held its Annual General Meeting (AGM) on Sunday at the Water Chris Hotel, Waterloo Street. The Madhia Goodwill Football tournament concluded with Georgetown All Stars copping the $200,000 first prize and MACORP trophy recently at the mining community’s playfield.